ORIGINS wide range of masks needs no introduction. 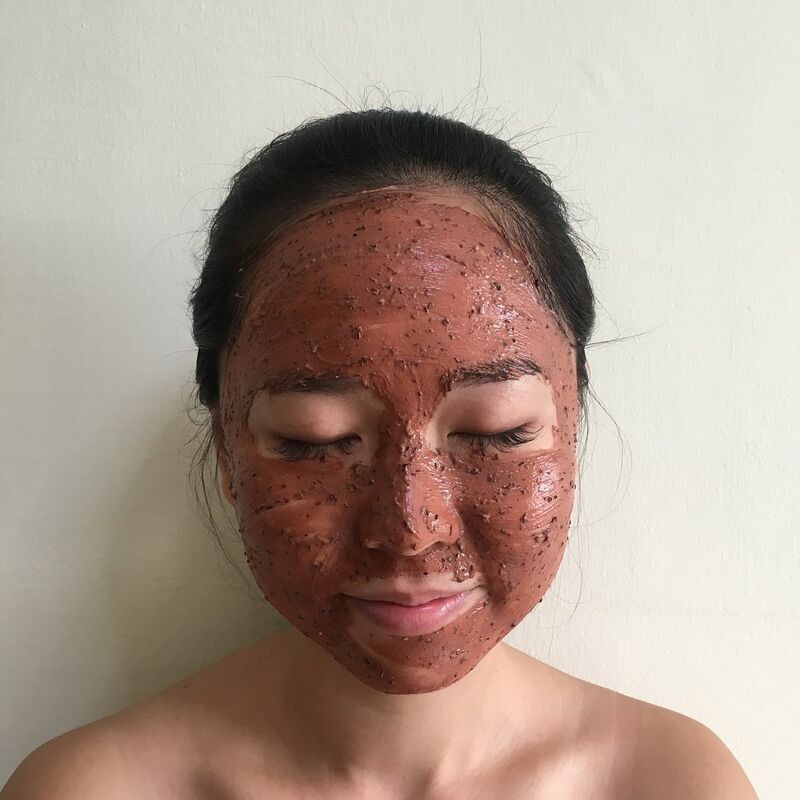 It has a plethora of masks types that are catered to different skin types and issues. This time round, ORIGINS is coming up with their first-ever self-crafted products, both body and face masks. 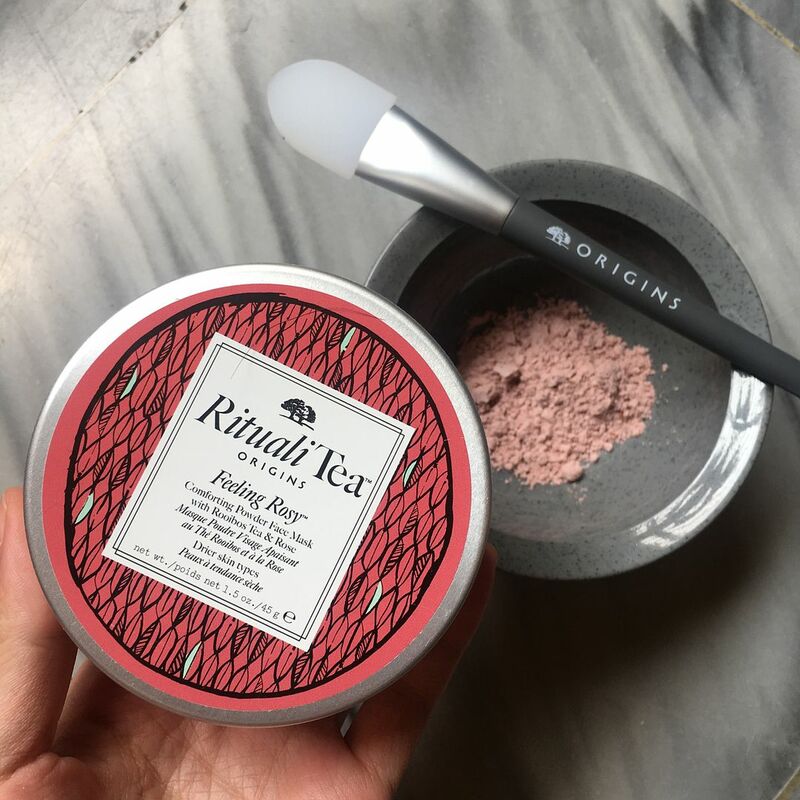 Today I'm gonna bring you through one of my favourite Origins RitualiTea Powder Face Mask - Feeling Rosy With Rooibos Tea & Rose, meant to leave your skin soft and smooth! It's quite interesting to be mixing your own face powder with water to make your own fresh face masks. 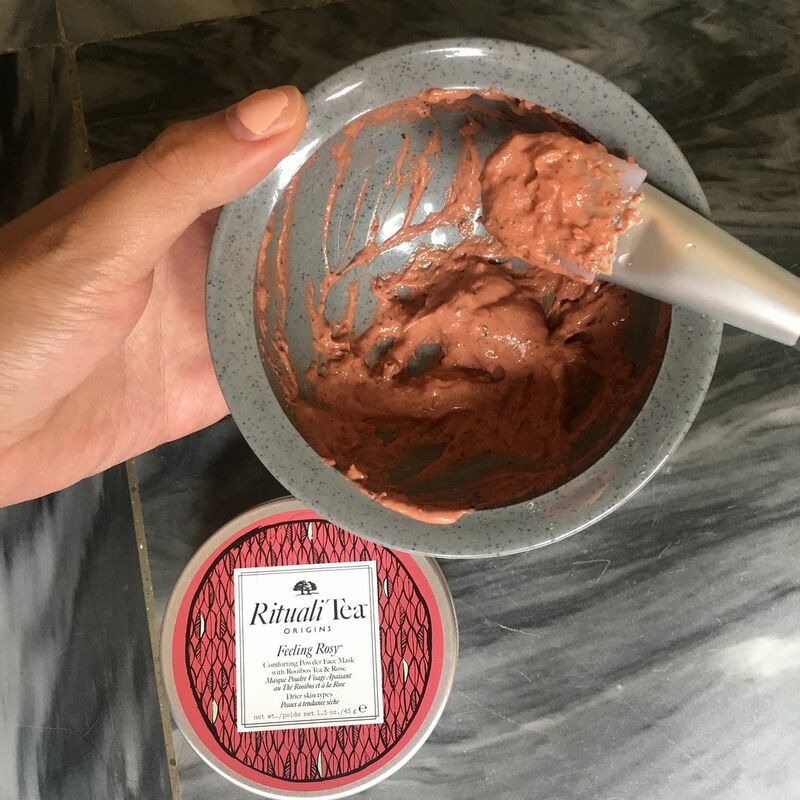 Other than the freshness, Origins aim to encourage us to indulge in a moment of “me time” by taking our time coming up with our own facial mask. The powered masks are encouraged to be used with Powder Mask Mixing Bowl and Tool (SGD20 each). One side of the tool is to measure the right amount of powder and water, while the other used to mix and spread. 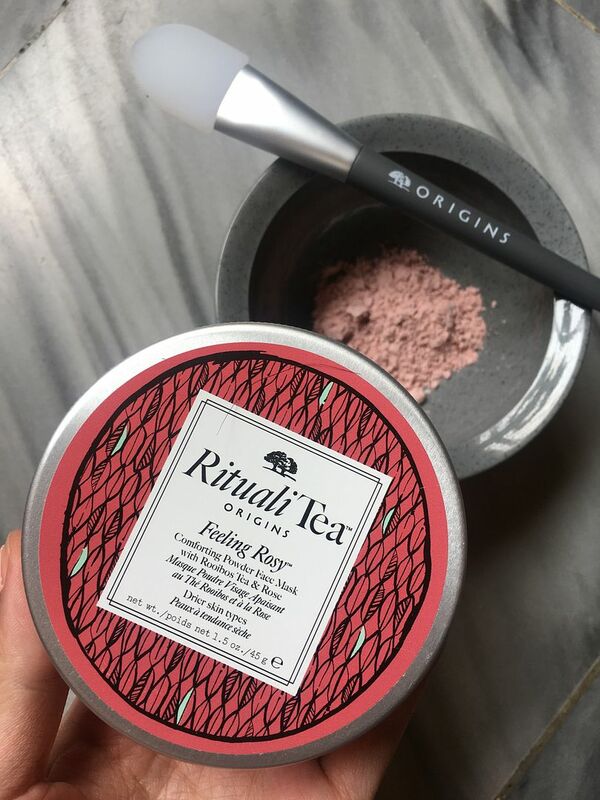 I definitely had fun playing around with these RitualiTea Powder Face Masks. I take two spoonful of powder and mix with 2.5 spoonful of water, and the amount was just right to cover my entire face. What I like about this is I can decide on the thickness of the mask by adding or lessening the amount of water. I'm using Feeling Rosy With Rooibos Tea & Rose mask here. 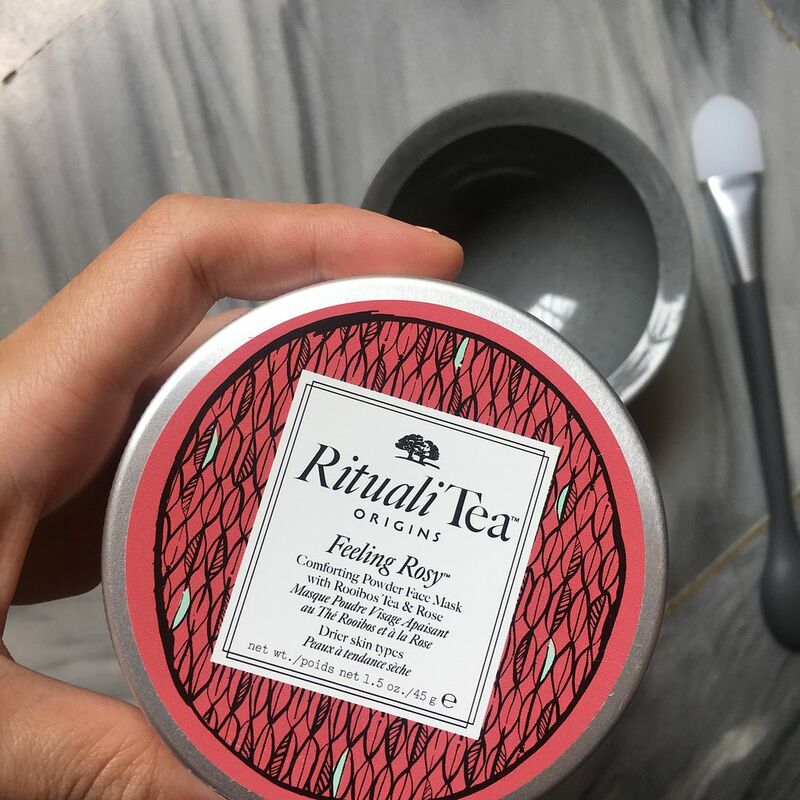 It helps replenish youthful appearance by calming skin, leaving it feeling smooth and soft while the fresh rose and herbal tea scent comforts the senses. Rooibos is known to contain alpha-hydroxy acid and zinc, both of which can help calm several skin problems. When it dries up and indicates it's ready to be washed off. 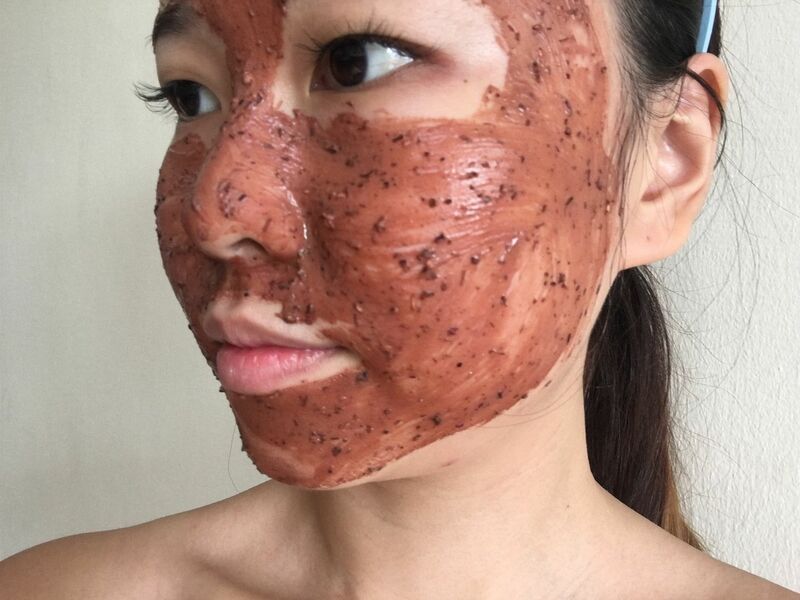 It takes about 10-15 mins for the mask to dry before I wash it off. 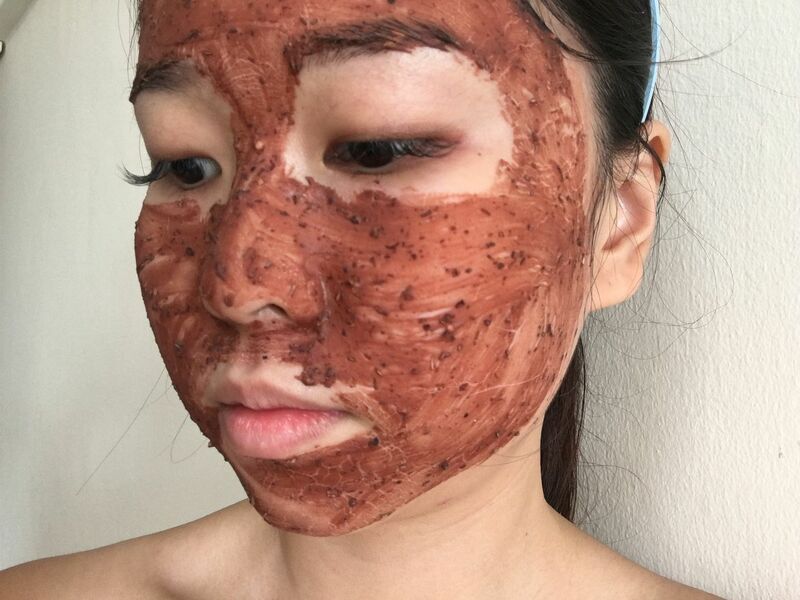 My skin does feel really smooth after a while, but in my opinion, a hydrating sheet mask would seal off the effort after washing off the mask. 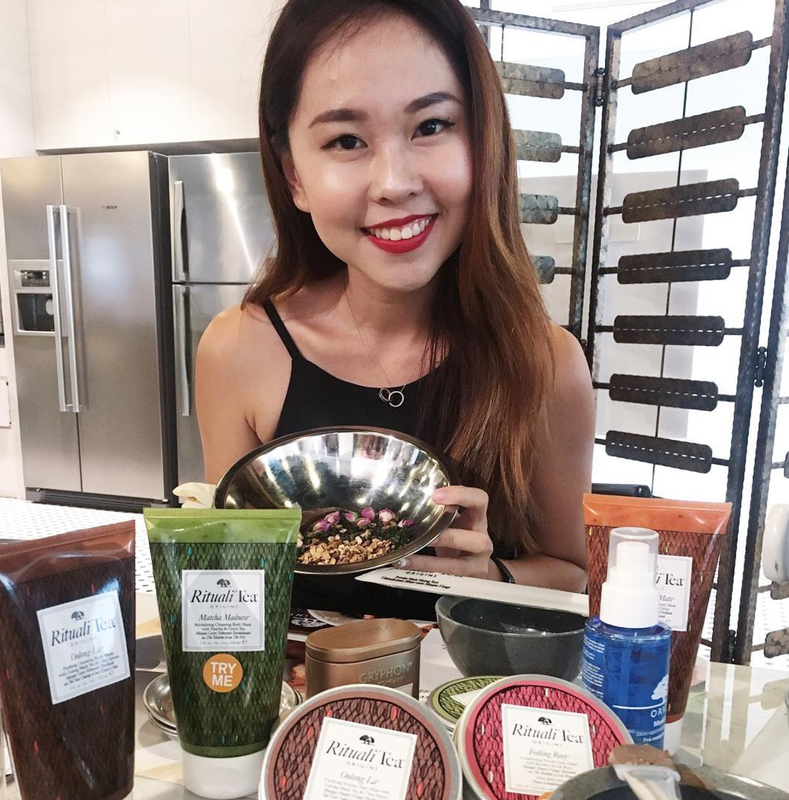 For more, visit Origins Singapore website!